Like most of the tosh on this blog, this piece is roughly edited, a bit rambling, and possibly pointless. My reason for sticking it up here is to try and get some discussion from any readers out there. I’d like peoples opinion and theories about social media use in mountain biking. Feel free to post a comment below or find me via Twitter. Not that long ago a company wishing to promote their wares would place a few adverts in magazines, perhaps get some good point of sale merchandising made (which would be lost in the clutter of a well lubed bike shop), maybe print a lovely catalogue for the year ahead, and contract a hand selected bunch of highly skilled mountain bikers to represent them. The professional mountain biker then would have to turn up to events and races, place well, shake hands, kiss some babies then head home. They would also have to hustle to appear in magazines, and perhaps have a video part in some of the handful of widely distributed movies that were released annually. This was how they reached an audience. Today, social networks such as Facebook and Twitter as well as blog publishing sites like Blogspot and WordPress are creating new forms of social interaction, dialogue, exchange, and collaboration for all of us, and many individuals and companies within mountain biking have begun to harness these tools in order to further market themselves or the products they represent. They can reach a wider audience quicker and they can interact and communicate with them directly. This multi-page diatribe of guff is an attempt at training our focus on the bigger picture of status updates, relationship statuses and a 24/7 scrolling rain storm of pixelated triviality. We all use Facebook and Twitter (well aside from anyone who is either so backwards that they live under a rock or so forward thinking they see the banality of signing up for such time robbing deceptions). However, do we know what these things are? Of course we do, anyone with first class honors in interneting knows what they are, but do we know what we are doing in terms of reshaping our political and social landscape, molding art and entertainment, even affecting the methodology of scholarship and research. More importantly, how it is affecting our experience of off-road bicycles, whether we are actually riding them, or blogging/IM/Twittering/Facebooking/foruming/article commenting about them in the digital woodland where the physical act of biking is severely removed. So this article attempts to define what Facebook and Twitter -the two most pervasive and predominant forms – are, how they are used, and what they mean. I asked for the perspectives of a few mountain bikers who work within the industry and use these things on a daily basis to try and generate a more accurate and non-partisan image of the digital landscape. Ultimately, what I have achieved is something akin to smelling my own farts because there is just more questions that are raised. There are 600 million users of Facebook and counting. In a single day about a billion new pieces of content are posted on Facebook, 60 million status updates are made, and in a month there are 260 billion page views. Facebook is estimated to account for as much as 25 per cent of all web traffic. It is the connective tissue for nearly a tenth of the planet. And it is growing. Somehow, seemingly overnight, many people have become part person, part profile. Part of the reason could be that it allows users to exercise the narcissistic and voyeuristic tendencies that many humans possess. Facebook has undoubtably changed how we interact with each other, how we present ourselves and it has blurred the lines between the public and private self more than anything else previously. There is also a commercial use to the individual and/or business interest. Using it to spread news, draw attention to people, places and products and to make friends – friends which equate to a loosely corralled network of fans, followers and fanatics in some cases. There are many ways to utilize Facebook and mountain bikers and companies have utilized done so to varying successes. Peter Vallance (Rocky Mountain, Product and Sports Marketing) – Personally, I use Facebook as a kind of blog with links to things I like or find interesting like photos, videos, and news stories. If I was to create a blog, I’m skeptical that many of the people in my life would regularly check it out, both because they’re too busy and I’m probably not that interesting. With Facebook, my content is forced onto their Facebook feeds and they have no choice but to see it. For that reason, I try to keep the quality level high. Olly (Creator of Factory Jackson website) – What started as a tool for socializing and communicating with friends is now it is a tool for self-promotion and marketing to a pre-built target market in the unknown void between social networking and marketing. Sven Martin (Photographer and MTB journalist) – I don’t use it for that. Rather use it to keep up with friends spread all over the world. I try to keep business and marketing off Facebook. I’d rather use social time to interact in real life not on web. Facebook is a very public domain in many respects and the more private moments that find their way onto the News Feed can have a negative affect upon a person. Olly Forster – Facebook represents a machine that is no longer innocent fun and can damage someone’s career if used incorrectly. Frightening stuff really! Peter Vallance – A couple years ago I found myself getting added by colleagues, acquaintances at other companies, and more often by total strangers. I wasn’t able to speak freely anymore and had to censor a lot of what I said, so I quit it altogether. It was only when the Rocky Mountain fan page started to get neglected did I sign up again to clean it up. Since then I’ve allowed pretty much anyone to add me and I just keep the content reasonably clean. The boundary between public and private is now blurred as everything is beamed and boomed out loud on the News Feed. This means users have to monitor what goes out, especially when there is a business interest involved. 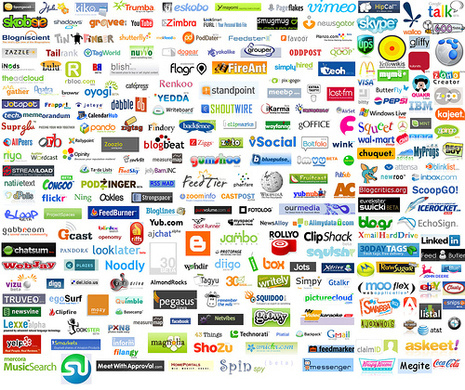 For businesses when Facebook is utilized properly it can act as a forum where information is shared in both directions. Customers can digest information and then feed back into it by commenting, Liking, or sharing it. As Craig Glaspell points out, doesn’t have the downsides of internet forums such as anonymous users sounding off with impunity. Peter Vallance – For a bike brand, Facebook functions similarly to Twitter in the way content is pushed onto the feed of a friend, but it differs in that it acts more as message board in which friends of the brand can have discussions, share experiences and post their own content relating to the brand. The impact and influence of a well executed Facebook presence goes further than just being noticed by large numbers of people but also the quality of the information transferred and digested. Craig Glaspell – It is very important in the circle of current customers, it is an aspect of marketing, very small one I think, but it grows everyday and our fans feedback from it has been very good “heard about the new…” and they are getting this info before their dealer-which is a whole other topic. There are currently around 160 million users and Twitter traffic continues to grow exponentially, with users sending over 65 million tweets a day by July 2010. Twitter enables its members to post or send short (140-character) messages called “tweets”, whereby users can broadcast what they are doing or thinking to the world, to closed “list” groups or to other individual Twitterers. Tweets will range from breakfast-cereal updates, interesting links, showing off new kit, training ride bragging and even musings on current affairs. Lady Gaga has 8,625,656 followers and Charlie Sheen opened an account one day and the next day he had over one million people following him. This keys into the issue of the cult of celebrity where users create a real life yet virtual following, where their every little bowel movement and night club visit is chronicled and circulated via the hub of the Wild West Wonderland. Steve peat has over 11,000 followers, which is a considerable number of people who have chosen to personally his every announcement. Not as large as the meat dressed fashion experiment herself, but still a substantial number of mountain bikers who wish to digest the bite sized info blasts that Peaty dishes up each day. This gives someone like Peaty the ability to be constantly in touch with his flock, feeding them morsels and allowing them to be privy to parts of his private life and his professional life, and in doing so breeds a further affinity towards him by his followers and extends his reach of influence as a marketing tool invested in by his sponsors, and his own interests. Mountain bikers may perhaps still be figuring out what Twitter is for and how it can be utilized as a powerful tool for promotional means, but many people have been quick to join up and a network within a network exists where information relevant to the mountain biking industry can be distributed very quickly, and where professional mountain bike athletes can promote themselves and their wares. Craig Glaspell – If you are into twitter, it’s a great place to get up to date info on your favorite brands, athletes and what not. But it needn’t be just about who got signed to who, and what promotional video is hot today. As Sven Martin explains, it can be a useful tool for skimming the fat off the milk that is the on-line dairy factory of the internet. Sven Martin – It’s a quick way to disseminate, news, results, new articles etc. I can scan a host of interesting insightful articles and ideas that impact the various industries I’m involved in, all in very little time. So really it is a time saver for me. I spend less time browsing actual websites, just click pertinent links I’m interested in. This is an interesting point. Twitter can act as the hub for news and information, where the content is selected and distributed by other users, whereby users act as the gatekeepers of information rather than necessarily the commercial interests of websites. Rather than checking out the front page of an ever expanding list of websites and sifting through the detritus each day, you can be directed to the pertinent information by other Twitter users that you follow, perhaps because you trust them to spread the best information. Many social media are fundamentally based on the premise that people freely share information and data. Social media users are now determining how – and which – information is shared over the Internet by posting news, views, presentations, pictures and videos, which they share among friends, family, and other communities and acquaintances. Social media are transforming the on-line behaviour in terms of the initial entry point we choose to dive into the ocean of information, the way we can now gather rather than hunt for information on our searches, and the way that we can browse for information preselected by others, rather than wallow in the mighty halls of the virtual equivalent of the worlds largest library in which there is often little order to the shelves. Social media are increasingly blurring the boundaries between work and play. The online tracking and dissemination of news and views over social media mean that we may now continue to live in a media world long after the end of their working day. There is no off switch to the internet and once we are signed up to the social media networking sites then we are destined to be forever jogging along on the treadmill of status updates, Tweets, pokes and links to hilarious videos of a monkey face pumping a frog. In their recently published social media guidelines, the Reuters news organization observed that “the distinction between the private and the professional has largely broken down online and you should assume that your professional and personal social media activity will be treated as one, no matter how hard you try to keep them separate”. Reuters are a grown up and very professional organization so if they say this is the case then it jolly well is. But what does this mean for us? Well widely speaking it means that with social media shrinking the rule of five degrees of separation to about two and one third degrees of separation then your private antics at the weekend may become widely broadcast and affect the view of your professional self. John Lawlor (film maker) – If you ask me, it’s a weird state of affairs when you’re telling the world what you had for breakfast or how many hours you spent in the bath, but I guess the line between professional careers and personal lives got blurred a long time ago. Sometimes the content of tweets can seem a little insipid – perhaps such users should be referred to as Twits – but they do offer a glimpse into the lives of people who have been chosen to be paid to represent a company’s interests. Sort of like catching a glimpse of your mates mum through a crack in the curtains just as she has got out of the shower. But far less interesting. Tweets don’t have to take on the form of blaring advertisements but can be used to keep viewers interested in the person or company behind them, but there are pit falls. Twitter is free to sign up for and costs nothing more to maintain your membership. All content you provide is self-managed and therefore you can choose the exact strategy for your Tweetings. Some people like to string a line of twitterings that are irreverent, others like to be all business up front, some people make them related to their profession, others use it as a forum to demonstrate their wide scope of interests – from pictures of vaguely phallic root vegetables, to photos of themselves. Olly Forster -[I use it] The same as it is for everything and everyone else who uses it – effective, self-managed, cost effective, target marketed social networking solution for self-promotion and information sharing. John Lawlor (film maker) – It seems that riders, journo’s, etc have to work even harder than before to publicize themselves. Before new social media, it would suffice for those in each profession to simply do their jobs. i.e., a racer would race, a photographer would photograph. It seems now it’s everyone’s job to self-promote. Of course there is the use of Twitter as a sounding board to advertise your interests. Like the KnowItAllLittleBastard at school who knows the answer so badly that he hoovers above his seat with his arm thrust into the air like something from above is tugging him by his snot filled fingernails, Tweets hustle for your attention. Companies and people can use it to draw attention to the great things they have done. Websites can wave madly that they have a five minute exclusive over another website for a press release, companies can tell you about things they have just released to the press, and athletes can tell you about the things they helped their sponsors release to the press and the places this doing has appeared. But it is free. There are no advertising costs and you don’t need to be in with the cool kids to get noticed. Twitter allows you to spout off and shout about yourself or your interests, spreading the word and get more noticed than your competitor who is too busy training for the upcoming season or dialing in the geometry and spec for next years bikes. So what does this mean? So far the effect of these social media networks is unquantifiable aside from the objective rationality of counting the number of users. However the more subjective matter of social media networks to influence and change buyer habits is yet to be fully understood. One thing is for sure, in the age old climate of looking for the easiest and cheapest marketing and advertising means possible then such social media networks are seen as worth the gamble. They are free, very easy and quick to use, and besides, everyone else is doing it, so it can’t be wrong can it.